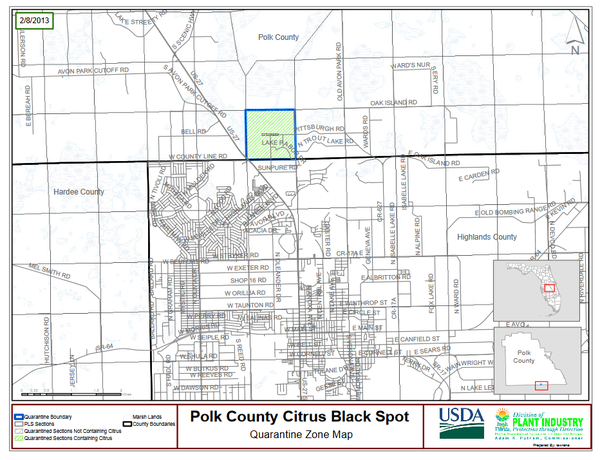 Now, citrus black spot has spread enough that the U.S. Department of Agriculture is beginning to collect information on this new threat. 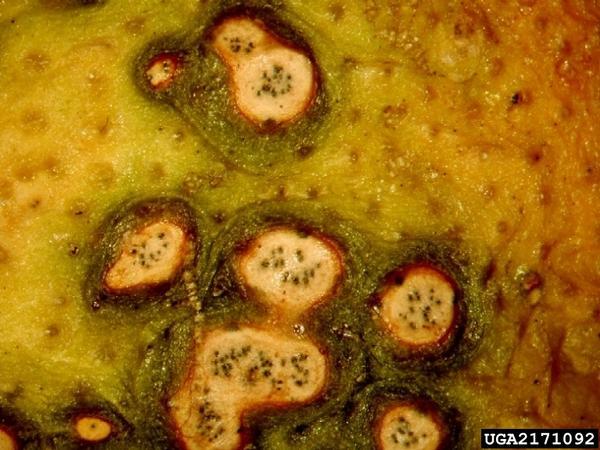 The fungus leaves dark spots or blotches, so growers can't sell fresh fruit. And it can cause fruit to drop from trees early. 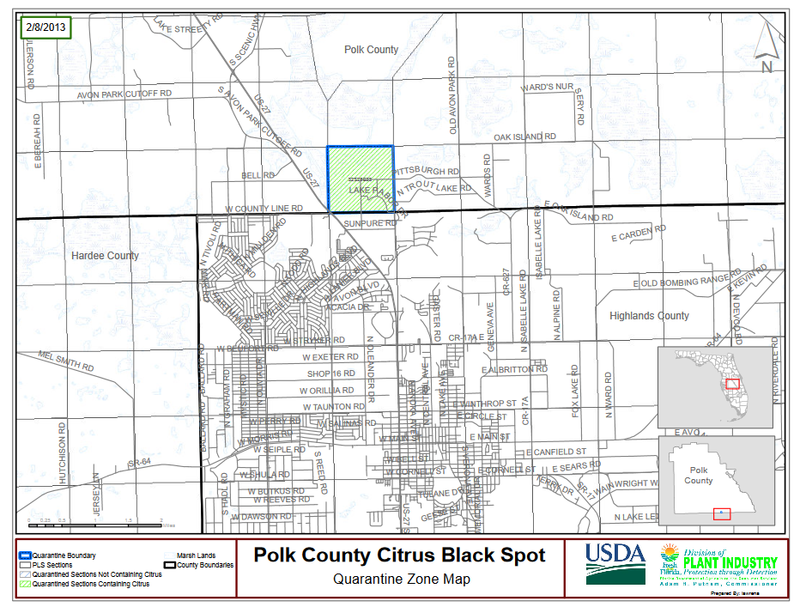 Megan Dewdney is a plant pathologist at the University of Florida's Citrus Research Center in Polk County. 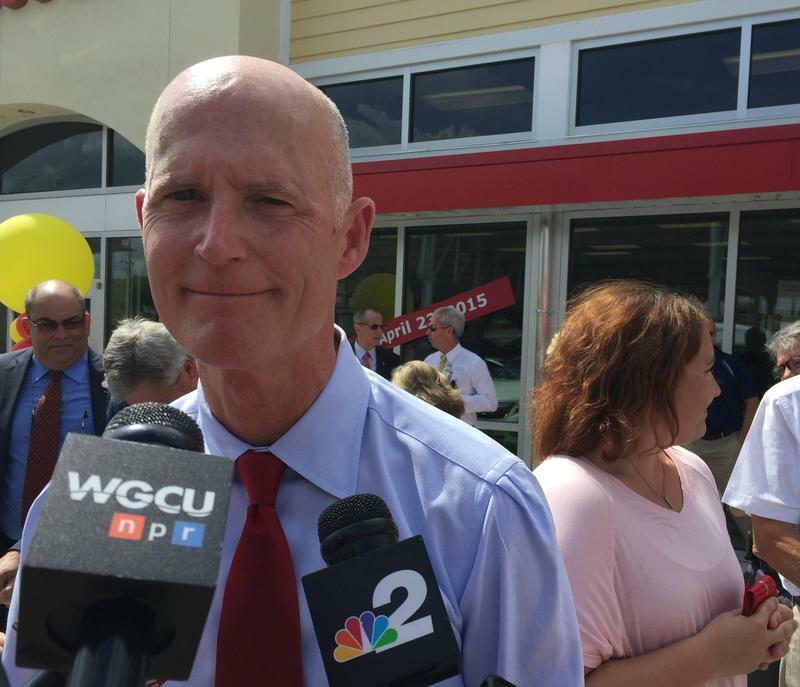 "It can - if it gets bad enough - cause quite devastating, up to 20, 30 percent fruit loss," she said. 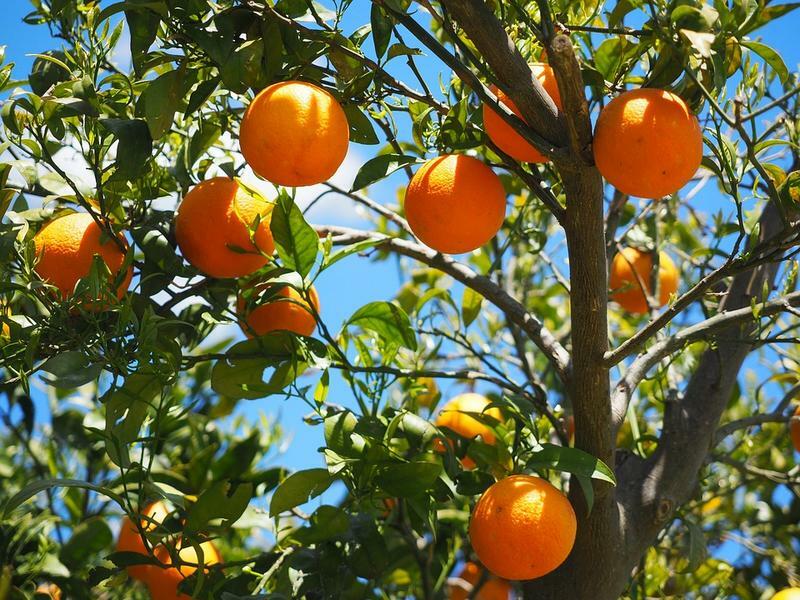 "And while we already have greening that's knocking fruit off the trees, having that additional amount of fruit loss would really be terrible for any grower." 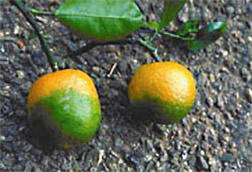 But she says black spot can be controlled - but not cured - if citrus is treated with a fungicide. "There are measures that you can do to keep the disease down to a very low level in the grove - you'll never quite get rid of it - unless you remove the whole grove," she said, " but at least you can keep it to a very measurable amount if you're on top of your applications." The disease has been found in Argentina, coastal areas of Australia, Brazil, China (mainland and Hong Kong), Indonesia, Japan, Kenya, Mozambique, Nigeria, Peru, Philippines, areas of South Africa with summer rainfall, Swaziland, Taiwan, Uruguay, Venezuela, and Zimbabwe. 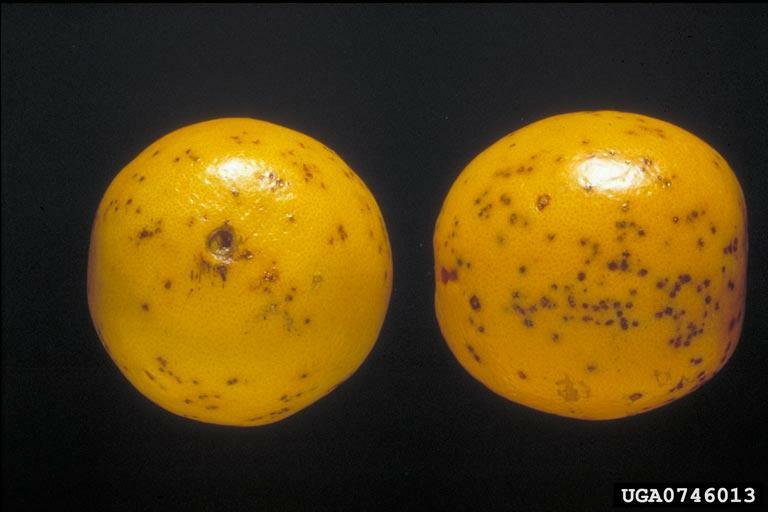 The Federal Register notes: While all commercial citrus cultivars are susceptible to CBS, the most vulnerable are lemons and late-maturing varieties of oranges like Valencia. 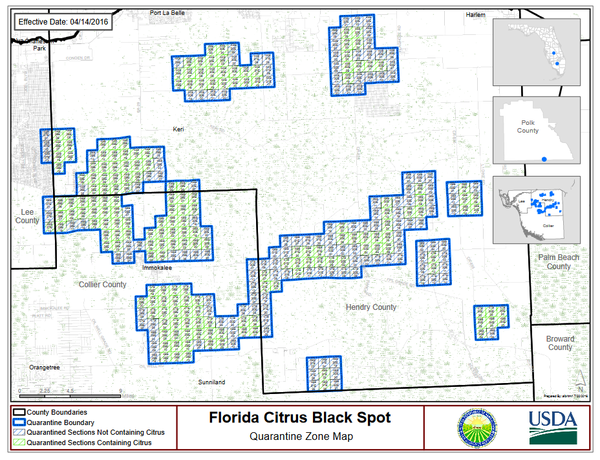 These varieties are widely grown commercially in Florida and in other citrus-producing areas of the United States. The greatest risk of transmission of CBS is associated with infected nursery stock and decomposing citrus leaves that have fallen in groves. There is also a risk of disease transmission if infected leaves, plant debris, or fruit are not adequately covered or secured during transport. "In the light of greening, nothing is as bad as greening, Dewdney said, "so while this is most definitely a problem and I don't wish to underplay it, it is not as big a problem as citrus greening, which is definitely devastating the entire citrus industry currently."